Craft your arsenal to avenge your fallen comrades and save the world from the fearsome forces of CLAW. 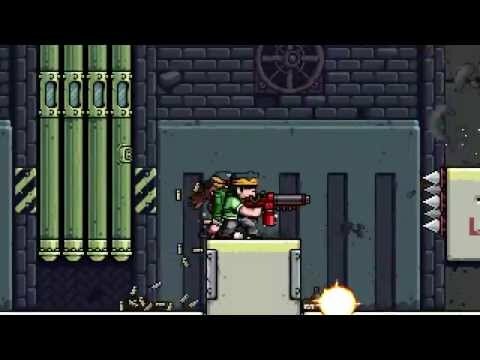 In this frantic 2D action game, you are part of the Mercenary Kings, the most skilled team of warriors-for-hire on Earth. When your comrades have fallen and the fearsome forces of CLAW have seized an island-wide top secret Laboratory Base, you must do what it takes to stop them. But you're not going in unprepared - as backup you've got a crew of rogue geniuses and experts in their field. Able to craft and customize guns'n'blades or upgrade your body armour, you've never been this ready to join the fight.